Slim and modern, the Rugged Armor for the Pixel 3 packs extreme protection in a single layer. 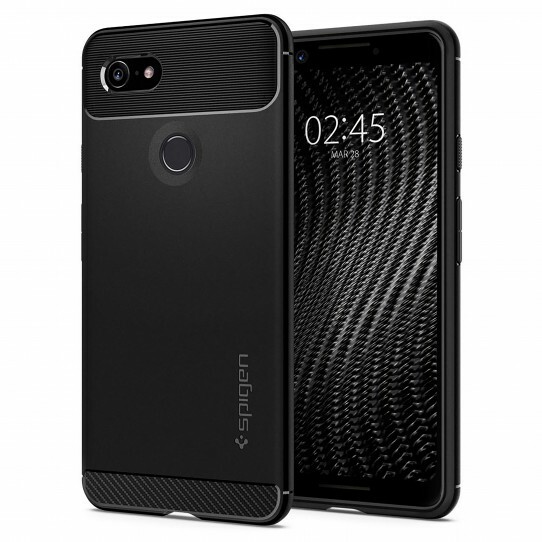 Its matte black finish and carbon fiber highlights add style to the sleek device. All four corners are packed with Air Cushion Technology® to ensure optimum shock-absorption in everyday drop. Wireless charging is fully supported by the ergonomic design while precise cutouts provide easy access to every feature. Encase the Pixel 3 with unrivaled style and defense.